e are successfully meeting the varied requirements of our clients by providing the best quality range of PU Based Floor Coating. We are leading manufacturer of PU self leveling flooring for Industrial Floors available in various colours of gloss and matt finishing. - Can be used outside under direct sunlight. Banking on the skills of our qualified team of professionals, we are involved in offering standard quality of Water Base PU Coating to our respected customers. 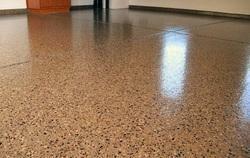 For floors that are showing signs of wearing off, we offer PU Coatings to protect the floor. We also use protective Epoxy Coating on Metal and RCC Structures. Customized polyurethane systems for manufacturing of all types of shoe soles: Unit soles, Safety Shoes and Chappals. Two types of chemistry available to fulfil customer needs: Polyester Polyurethane Systems and Polyether Polyurethane Systems. 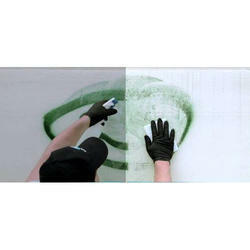 We install water based polyurethene hygiene wall coatings in clean rooms and operation theatres.